Liz and Mac Ennis got married at the Inn and Spa at Loretto in Santa Fe, New Mexico. The venue is known for their farolitos (luminarias), so I decided to try to capture that look for the invitation design. 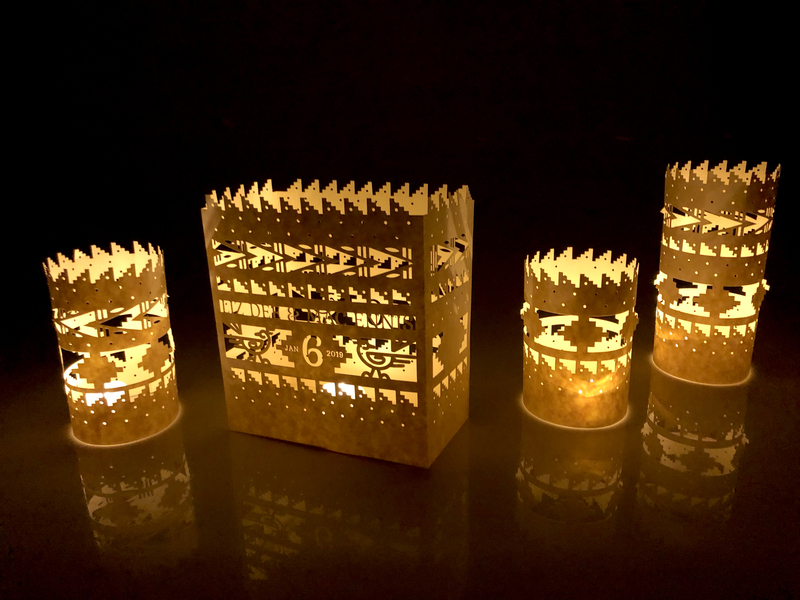 I created laser-cut imagery that was inspired by New Mexican pottery and textiles. I then created customized farolitos and candle holders for use at the wedding.